We are still working hard on new challenges for artisans and designers; new techniques, materials and concepts are still being tested now it’s a “MOMENTUM”. Newton is the truly moment of inspiration, a table completed by spheres and semi spheres that joined together complete this dining table with this exquisite look. Inspired in Newton’s law of gravity, we were looking for an object capable to reflect the sphere attraction as they were joined with their mass, force and energy. This table is ideal for 8 to 10 people who will be amazed when gracing this masterpiece at your home. Techniques as casting, lacquering or varnishing, are used in this table, with materials as myrtle burl veneer, walnut root veneer, gold plated bras. This table has three different versions and all of them present amazing different combinations. 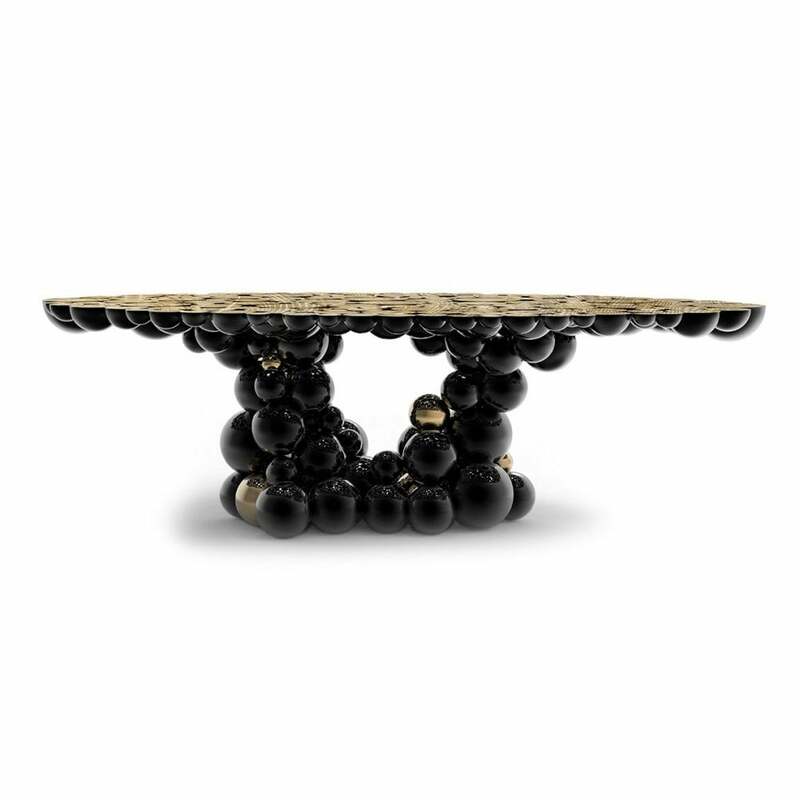 Black lacquer brass spheres with high gloss varnish finishing and some gold plated spheres on the base. The top of the table is composed by brass circles carved with a golden texture similar to a wood texture.